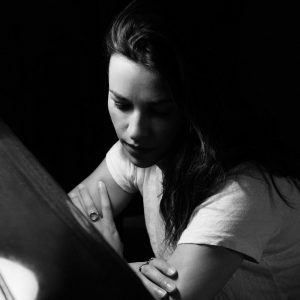 Amelia Warner is a fresh—and refreshing—new voice in film music. In 2016, she provided a reflective, elegant score for her feature debut, Mum’s List, starring Rafe Spall. She helped bring an old story to modern life with Mary Shelley, starring Elle Fanning as the famous Frankenstein author, with otherworldly music for an orchestra haunted by ethereal female vocals. Most recently she took on a comedic tone, scoring a series of short films about female empowerment in the Time’s Up vein. Offscreen, Warner has scored hits with her narrative, neoclassical albums Arms (under the altar ego Slow Moving Millie) and Visitors, both of which conquered the classical charts on iTunes.